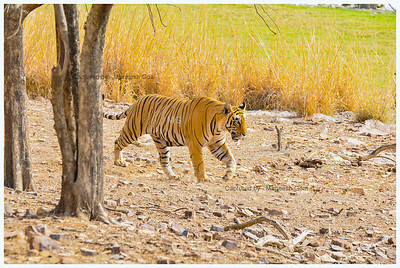 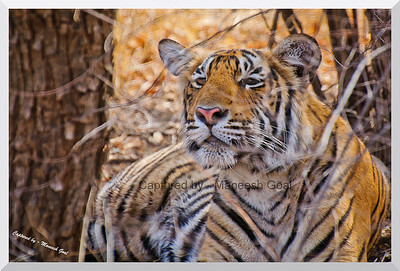 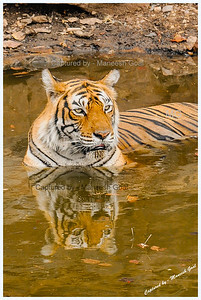 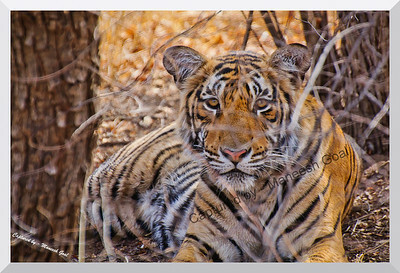 Portrait of Tigress (T-17 / Sundari), Ranthambhore National Park T-17 or Sundari is the 4 year old daughter of the legendary tigress Machali (Machli). 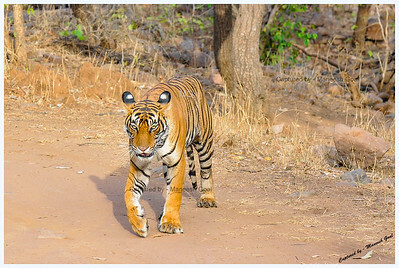 She has a radio collar around her neck which is used to undertake scientific studies on aspects such as tiger movement, extent of area covered, etc. 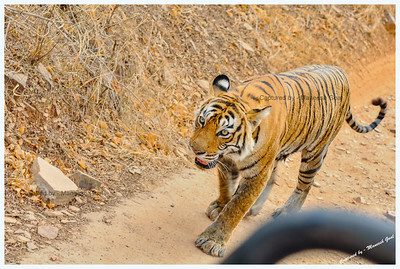 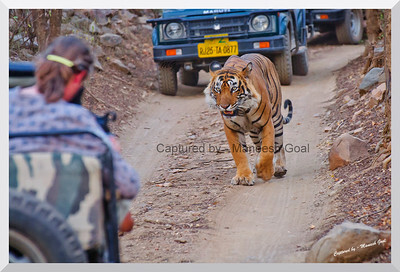 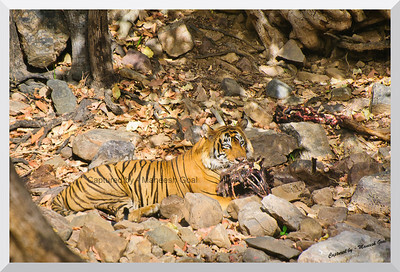 It is strictly NOT used for tracking the tiger for the benefit of tourists during tiger safaris. 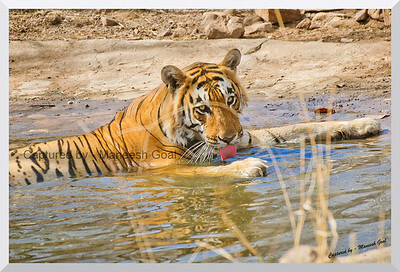 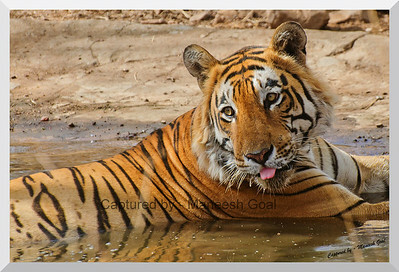 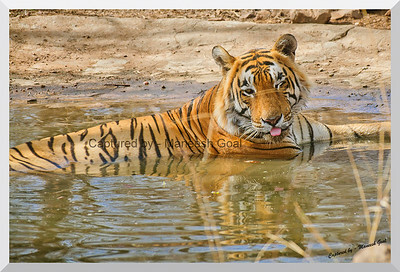 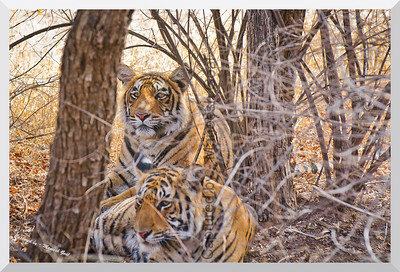 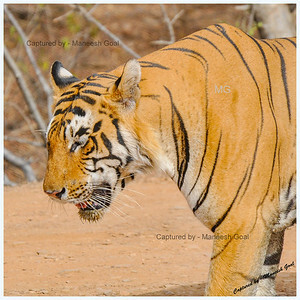 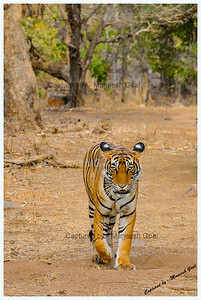 The presence of a radio collar poses a peculiar problem for photographers... in that, nobody would love to have a picture of a wild tiger with a collar around its neck! 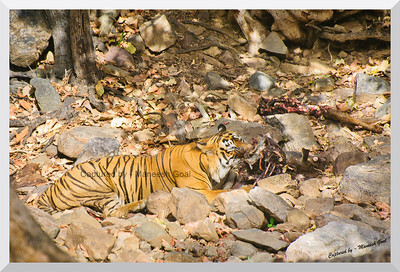 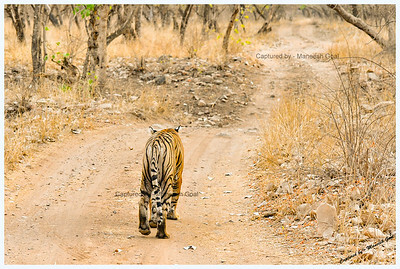 The solution is to either photograph her from the front or at an angle such that the collar is not visible... but then, the angle is not under one's control since the tiger is the King of the jungle and it does not move as per a tourist's whims and fancies! 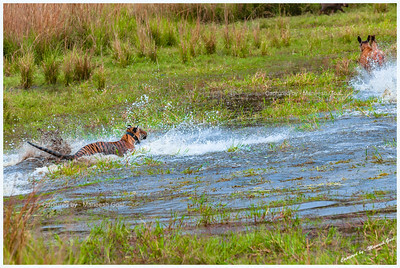 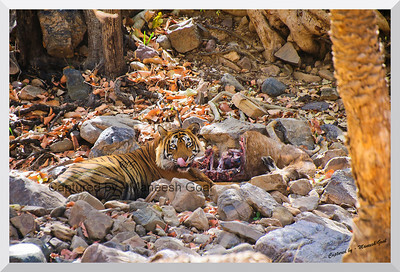 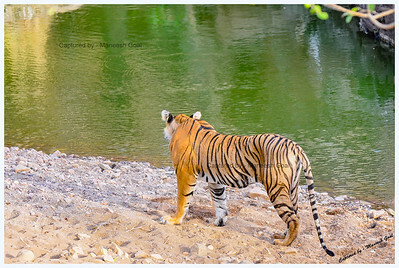 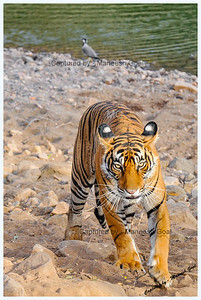 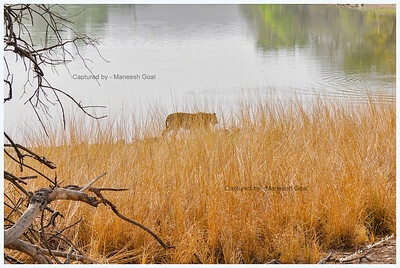 Tigress (T-17 / Sundari) charging after Sambar Deer for a kill inside the Rajbagh Lake, Ranthambhore National Park Shot in fading light! 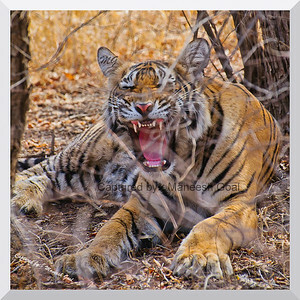 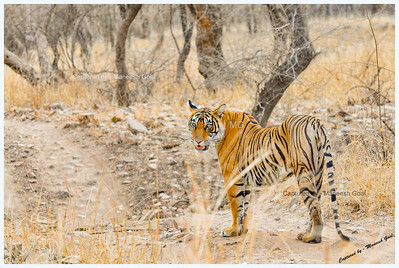 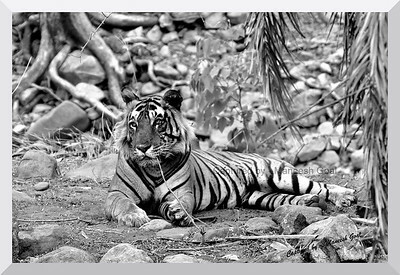 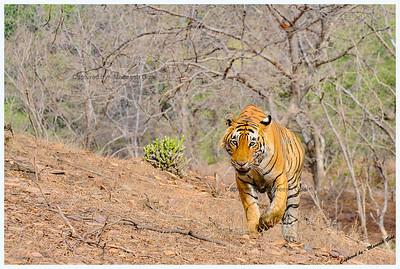 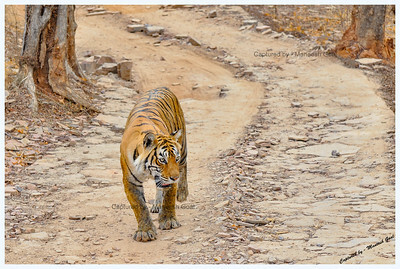 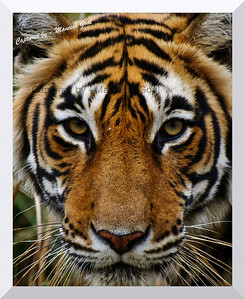 T-17 or Sundari is the 4 year old daughter of the legendary tigress Machali (Machli). 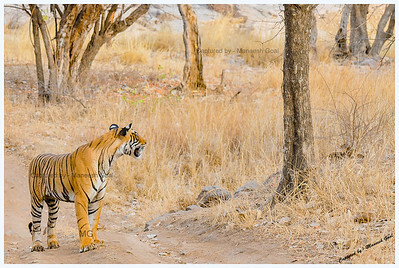 She has a radio collar around her neck which is used to undertake scientific studies on aspects such as tiger movement, extent of area covered, etc. 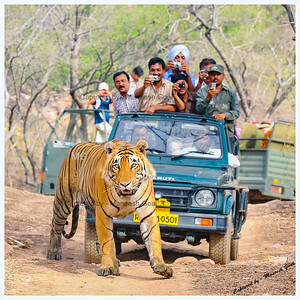 It is strictly NOT used for tracking the tiger for the benefit of tourists during tiger safaris. 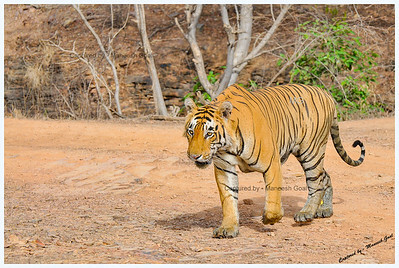 The presence of a radio collar poses a peculiar problem for photographers... in that, nobody would love to have a picture of a wild tiger with a collar around its neck! 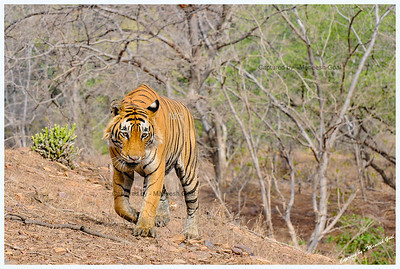 The solution is to either photograph her from the front or at an angle such that the collar is not visible... but then, the angle is not under one's control since the tiger is the King of the jungle and it does not move as per a tourist's whims and fancies!